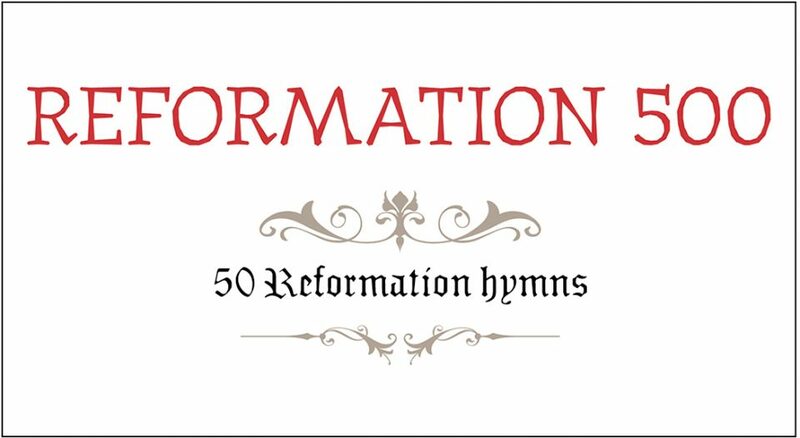 As we commemorate the 500th anniversary of the Reformation, Living Lutheran is exploring 500 of its unique aspects, continuing the series this month with 50 Reformation hymns. Martin Luther instinctively understood the power of music to nurture and teach. This list is not meant to be a compilation of “Lutheran favorites”; rather, they sing of central aspects of the Reformation—the cross, baptism, eucharist and Christian vocation—and its impact over the last 500 years. “A Mighty Fortress Is Our God” (Evangelical Lutheran Worship [ELW] 503–505, Lutheran Book of Worship [LBW] 228–229, This Far by Faith [TFF] 133). Written in the late 1520s and first circulated as an inexpensive single-sheet broadside, Martin Luther’s metrical commentary on Psalm 46 has probably been translated more frequently than any other hymn in church history. Luther and his contemporaries viewed this text as one of “comfort” in the face of adversity, confessing Christ as “the Lord of hosts by name” and reminding us that “no other God we claim.” Here, the community at Christ Chapel, Gustavus Adolphus College, sings the “rhythmic” version of Luther’s tune. “Hope of the World” (LBW, 493). Ongoing debates from the Reformation—creed, language and style, among others—continue to pit people of faith against one another. In this hymn, Georgia Harkness asks Christ to save us from our “own false hopes and aims” and reminds us that Christ alone is our Savior. “I’m Going on a Journey” (ELW, 446; TFF, 115). In the Large Catechism, Martin Luther wrote that it is baptism “by which we are first received into the Christian community.” This hymn reminds us that whatever “roads [we] trod,” our heads are dripping wet with the mark of Christ and sign of God’s love. “O Blessed Spring” (ELW, 447). Baptism grafts us to Christ, the “holy Vine” and “living Tree.” Susan Palo Cherwien’s text also calls to mind the original meaning of the Lenten season, a time of preparation for those being baptized at the Easter Vigil. “God Alone Be Praised.” This collaboration between Susan Briehl and Zebulon Highben was commissioned to mark both the 500th anniversary of the Reformation and the 30th anniversary of the Association of Lutheran Church Musicians. Like “A Mighty Fortress,” Briehl’s stanzas use Psalm 46 as a point of departure. “Dear Christians, One and All, Rejoice” (ELW 594, LBW 299). Though “A Mighty Fortress” is sometimes called the “battle hymn” of the Reformation, a better summary of Luther’s reforms could arguably be found in this text. Originally 10 stanzas, it describes his realization of being “bound in Satan’s chains,” where his works couldn’t save him; only God’s unconditional love in sending Jesus can free us. Here, a few of the stanzas are sung with accompaniments. The setting of the first stanza is from the 1524 Achtliederbuch (Book of Eight Songs), the first printed compilation of Lutheran hymns. “Holy God, Holy and Glorious” (ELW, 637). For hymn writer Briehl, these stanzas sing Luther’s theology of the cross. “God’s glory and majesty are hidden under their opposites,” she wrote: power is emptied, beauty is despised and rejected, living is shown in dying. “Oh, Praise the Gracious Power” (ELW 6,51). The cross also stands at the center of this hymn, a collaboration between author Thomas Troeger and composer Carol Doran based on Ephesians 2:14b–16a. Division is reconciled through the cross: the living Christ is power, truth, love, faith and grace. The Magnificat (ELW, 234, 251, 573, 723, 882; LBW, 180; TFF, 168). Luther saw Mary as a teacher, extolling her faith and trust in God’s promises as well as her love and service to others. The Magnificat was an important text for Lutheran composers in the following centuries, especially as the gospel canticle for evening prayer. “O Lord, How Shall I Meet You” (ELW, 241; LBW, 23). In these stanzas, Paul Gerhardt uses images of light to remind us of God’s love: “Love caused your incarnation; love brought you down to me.” His collaboration with cantor Johann Crüger is one of many examples of pastor-cantor teams that continue to bless the church’s treasury of song. “We Are All One in Christ (Somus uno en Cristo)” (ELW, 643). Both the text and tune of this Latin American hymn are anonymous; Gerhard Cartford first provided this translation for Libro de Liturgia y Cántico (Augsburg Fortress, 1998). The hymn reminds us of our oneness in Christ: one God, one Lord, one Spirit, one faith, one love, one baptism. “Now the Silence” (ELW, 460; LBW, 205). Author Jaroslav Vajda envisioned this text as an entrance hymn, “a list of the awesome and exciting things that one should expect in worship, culminating in the eucharist and benediction.” The tune by Carl Schalk inaugurated a long collaboration between the two. “The Word of God Is Source and Seed” (ELW, 506). Sister Delores Dufner, Order of St. Benedict, used images from Ezekiel 37, Mark 4 and John 1 to craft these stanzas that teach about God’s word. “Rise, Shine, You People!” (ELW, 665; LBW, 393). “Christ the Lord has entered our human story; God in him is centered.” One might have to look at the hymnal credits to see that this is not by Luther, but a 20th-century writer. The hymn was inspired by the author’s experience at an Easter Vigil that, for him, recalled the story of Luther hurling an inkpot at the devil. “Signs and Wonders”(ELW, 672). Recalling Luther’s “sin boldly,” this text calls us to boldness in other ways too: “boldly may we heed Christ’s call” and “let us boldly serve and bless.” So sing boldly and dance boldly to this familiar tune, a treasure from Jean Calvin’s Genevan Psalter. Here, the familiar tune by Loys Bourgeois is heard in an arrangement by Claude Goudimel. “Out of the Depths I Cry to You” (ELW, 600; LBW, 295). This was an early hymn of Luther’s, a psalm paraphrase of the type he encouraged others to write. In one letter he urged, “I intend to make vernacular psalms for the people, that is, spiritual songs so that the Word of God even by means of song may live among the people … since you are skillful and eloquent in German, I would ask you to work with us in this and turn a psalm into a hymn as in the enclosed sample of my work.” Here, Luther’s catechism chorale about confession is heard in a setting by 17th-century composer Arnold von Bruck. “These are the Holy Ten Commands.” In 1523 or 1524, Luther arranged verses from Exodus 20 in hymn form. Soon after, he wrote a slightly shorter version, yet both were sung during catechism services, especially during Lent. In this setting by Johann Hermann Schein, one can hear the influence of Italian vocal styles that became fashionable at the outset of the Baroque. Note especially the text painting at “hoch auf dem Berg,” the repeated, rising lines that suggest the height of Mount Sinai where Moses was given the Ten Commandments. “Jesus Christ, Our Blessed Savior.” Luther’s hymn about the sacrament of communion is an expansion of an early 15th-century Latin hymn sung by the followers of Jan Hus. In his German Mass of 1526, Luther suggested that it be sung during the distribution of communion. This setting is by the 17th-century cantor Thomas Selle, who spent most of his career in Hamburg. “To Jordan Came the Christ, Our Lord” (LBW, 79). Completed in 1539, this was one of Luther’s last catechism hymns. The tune is by Johann Walther, though it was originally composed for a text Luther wrote in 1524. A famous organ setting of this chorale by J.S. Bach places the tune in the pedal, surrounded by the “flowing waters” of the left hand. “Kyrie! God, Father” (ELW, 409; LBW, 168). Throughout the medieval period, it was common for liturgical chants to be “troped,” or adjusted to fit a particular occasion. Somewhere between the 10th and 12th centuries, a trope of the Kyrie known as Kyrie fons bonitatis emerged, later translated in the 16th century as Kyrie, Gott Vater in Ewigkeit. This four-voice setting by Heinrich Schütz uses the melody as a point of imitation, each line blossoming across all four voices until a new phrase begins. “All Glory Be to God on High” (ELW, 410; LBW, 166). This versification of the “Gloria” was penned by Nikolaus Decius, who, like Luther, was a German monk who became a pastor. It was first sung on Easter Day, April 5, 1523, and was widely adopted during the Reformation. It was translated into Swedish as early as 1567 and was one of the most frequently sung hymns by Swedish Lutherans in the Delaware Valley around 1700. A vocal-instrumental arrangement by Michael Praetorius was rendered by the Early Music Consort of London. “We All Believe in One True God” (ELW, 411; LBW, 374). Like some of his other hymns, Luther’s versification of the Nicene Creed was founded upon an earlier version that had been around for about a century. In his German Mass of 1526, Luther instructs that “after the Gospel the whole church sings the creed in German.” The hymn is sung here as it appears in ELW by the 2010 Lutheran Summer Music community gathered for worship in the Center for Faith and Life at Luther College, Decorah, Iowa. “Isaiah in a Vision Did of Old” (ELW, 868; LBW, 528). Rather than fashion a direct translation of the Sanctus, Luther placed the cry of “Holy, holy, holy” in its biblical context, a metrical version of Isaiah 6:1-4. His melody is derived from an 11th-century Sanctus sung during Advent and Lent. The hymn is heard here, also as it appears in ELW, in the same service as Luther’s versification of the Nicene Creed (above). “O Christ, Lamb of God” (ELW, 196; LBW, 103). The Agnus Dei was introduced to the liturgy sometime around the eighth century and is derived from John the Baptist’s cry, “Behold, the Lamb of God, who takes away the sin of the world” (John 1:29). This hymn first appeared in one of Johannes Bugenhagen’s church orders of 1528, though it may have existed as early as 1524 or 1525. Bach uses this chorale in the final movement of Cantata 23 (use the drop-down menu at top left to navigate to the fourth movement) and surrounds it with instrumental interludes. “Lamb of God, Pure and Sinless” (ELW, 357; LBW, 111). This versification of the Agnus Dei is also the work of Nikolaus Decius (see “All Glory Be to God on High” above). Perhaps the most famous use of this chorale is Bach’s opening of the St. Matthew Passion where it floats above the double choir (beginning at 2:45 in this recording). “I Shall Not Die But Live (Non moriar sed vivam).” In addition to a few dozen hymn texts and melodies, Luther’s musical output also includes a short, four-voice motet that was first published in 1545. The text is Psalm 118:17, which Luther had once written on the wall of his study: “I shall not die, but live, and declare the works of the Lord.” It is sung here by the Dresdner Kreuzchor. “Savior of the Nations, Come” (ELW, 263; LBW, 28). Throughout the 1520s, Luther adapted several Latin plainsong hymns for the mass and church year and recast them as German hymns—not all were direct translations, and others were subjected to some melodic “retrofitting” to match German syntax. Thus, a fourth-century hymn by Ambrose of Milan, Veni redemptor gentium, became Nun komm, der Heiden Heiland. Here, the hymn is rendered in a jazz-inspired arrangement by the Berliner Solistenchor and Christian Steyer from their album Alte Weihnachtslieder Neu. “From Heaven Above” (ELW, 268; LBW, 51). Luther originally wrote this hymn in 15 stanzas and called it a “Children’s Hymn for Christmas Eve.” Like many early Reformation melodies, it is a “contrafact,” meaning that original words—in this case, “Good news from far abroad I bring”—were replaced with new ones. Paul Manz plays an organ setting here by Johann Pachelbel at Mount Olive Lutheran Church, Minneapolis, complete with “Christmas bells” (Zimbelstern). “O Morning Star, How Fair and Bright” (ELW, 308; LBW, 76). Philipp Nicolai wrote this, the “Queen of Chorales,” in either 1597 or 1599. His seven original stanzas bore the subtitle: “A spiritual bridal song of the believing soul concerning Jesus Christ, her heavenly bridegroom, founded on the 45th psalm of the prophet David.” Accordingly, it was used throughout Germany for weddings and other festivals outside the Epiphany season. In this recording, a (mostly) period-instrument ensemble helps us hear how the tune should dance! “The Only Son from Heaven” (ELW, 309; LBW, 86). Elisabeth Cruciger was one of the Reformation’s earliest hymn writers. She and her spouse, a pastor, were personal acquaintances of Luther and Katharina von Bora. Both Elizabeth and Katharina were former nuns, and it was Elizabeth’s desire that her text about Christ the Morning Star be paired with this German folk melody. This ornate instrumental setting is by Sebastian Knüpfer, cantor at the Thomaskirche in Leipzig from 1657 to 1676. Bach would later serve here from 1723 to 1750. “Now to the Holy Spirit Let Us Pray” (ELW, 743; LBW, 317). Before the Reformation, some German folk hymns ended with the text “Kyrie eleison,” sometimes elided and shortened to “Kyrieleis.” These were called Leisen. This hymn began as a single-stanza Leise to which Luther added three more stanzas in 1524. During the 16th century and after, it could be used variously as an entrance hymn during Advent or Pentecost, before or after the sermon, or at funerals. The tune opens 2017’s Lutherjazz by Pastor Wang project. “Built on a Rock” (ELW, 652; LBW, 365). The first stanza of the original Danish begins “Kirken den er et gammelt Hus”—literally “the church, it is an old house.” God is the foundation and Christ “builds a house of living stones.” The imagery of a sturdy frame is matched by an equally sturdy tune. The hymn can be heard here in “The Church’s Journey in Art and Song,” part of the 2015 Worship Jubilee held in conjunction with the biennial meeting of the Association of Lutheran Church Musicians. Organist David Cherwien leads the singing at Peachtree Road United Methodist Church, Atlanta. “Where True Charity and Love Abide” (ELW, 653; LBW, 126; TFF, 84). “Let us be watchful that no strife still divide us.” These are appropriate words for this Reformation anniversary year and continued ecumenical dialogue. Fitting, too, that this should be a ninth-century text sung by many assemblies in both plainsong and Taizé versions. Perhaps the most famous setting is the choral arrangement by French composer and teacher Maurice Duruflé. “Lord, Keep Us Steadfast in Your Word” (ELW, 517; LBW, 230). Luther’s three stanzas were likely written around 1541-1542, when the Turkish army was defeating European forces both on land and at sea. This Trinitarian text pleads for protection and for steadfastness in times of adversity. Many German congregations added a fourth stanza (see ELW, 784 and LBW, 471) to Luther’s words, and Johann Walter wrote another stanza in 1566 that prayed for “peace and good government.” An edition by Dieterich Buxtehude was used in his setting for voices and instruments. “Lord God, We All Praise You.” In 1554, Paul Eber wrote German stanzas based upon a Latin text by Philipp Melanchthon. By the early 17th century, Eber’s stanzas were sung to a Genevan psalm tune known today as Old Hundredth, often song as the doxology, “Praise God, from Whom All Blessings Flow” (ELW, 884, 885). This lyrical and charming setting for organ and oboe comes from Georg Friedrich Kauffmann’s Harmonische Seelenlust, or The Soul’s Longing for Harmony. “In Thee Is Gladness” (ELW, 867; LBW, 552). Author Johann Lindemann selected an Italian balletto by Giovanni Giacomo Gastoldi as a melody for this text, and it has proved a durable match. Here, Gastoldi’s original balletto, “A lieta vita,” is rendered live in concert by the Baltimore Consort: when sung near this tempo, the hymn dances equally well! “Lord, Thee I Love with All My Heart” (ELW, 750; LBW, 325). Though a beloved hymn, it appears to be the only surviving one by Martin Schalling, who was once a student of Melanchthon in Wittenberg. The tune appeared in a 1577 collection of music for organ or instruments; its composer remains unknown. One of the most imaginative, expansive, and expressive settings of this chorale is that of Dieterich Buxtehude: note especially the contrast between resting in Abraham’s bosom (12:00-13:22) and the joy of awakening to see Christ on the last day (14:42-end). Aufdemberge, C. T. Christian Worship: Handbook. Milwaukee: Northwestern Publishing House, 1997. Leaver, Robin A. Luther’s Liturgical Music: Principles and Implications. Grand Rapids, Mich.: William B. Eerdmans, 2007. __________. The Whole Church Sings: Congregational Singing in Luther’s Wittenberg. Grand Rapids, Mich.: William B. Eerdmans, 2017. Stulken, Marilyn Kay. Hymnal Companion to the Lutheran Book of Worship. Philadelphia: Fortress Press, 1981. Wengert, Timothy J., ed. The Pastoral Luther: Essays on Martin Luther’s Practical Theology. Grand Rapids, Mich.: William B. Eerdmans, 2009. Westermeyer, Paul. Hymnal Companion to Evangelical Lutheran Worship. Minneapolis: Augsburg Fortress, 2010. Chad Fothergill is a church musician and musicologist based in the Philadelphia area. He writes regularly for the Association of Lutheran Church Musicians and serves Cambridge University Press as an editorial assistant for the journal Eighteenth-Century Music.